For the guys in This Will Destroy You, the Texas-based instrumental-rock band, life has been a roller-coaster ride since the release of their first EP, Young Mountain, in 2006. Critical and commercial success have been tempered by instability in the band’s lineup, and while their popularity has increased over the years, the stress of constant touring has adversely affected their health. The effects of all this tension are mirrored in their most recent full-length release, Tunnel Blanket, which is a raw combination of beauty and rage. Guitarist Jeremy Galindo says making the album was a cathartic experience. Over the course of the band’s first four releases—one full-length effort and three EPs—fans came to expect a certain dreamy and melodic quality to the band’s epic songs. 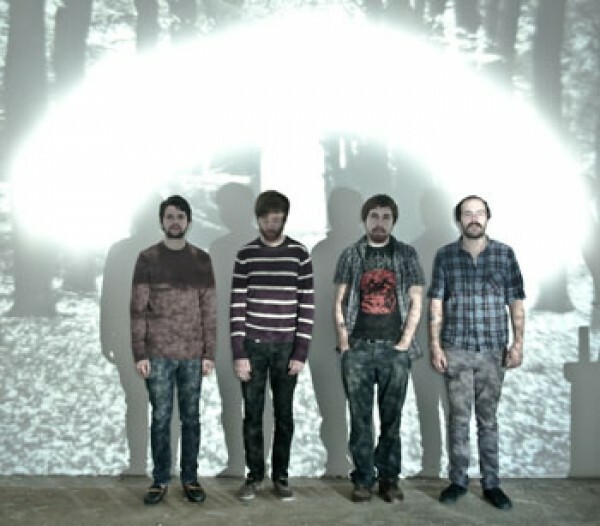 The band loathes labels like “post-rock” and “shoegaze,” but comparisons to the musical aesthetic found in groups like Explosions in the Sky are not unreasonable—as some This Will Destroy You tunes exceed 10 minutes in length. If you have seen trailers for films like The Taking of Pelham 123 or watched 2011’s Moneyball, you have heard how gorgeous their songs can sound. Since their tracks tend to lean toward the languid and spacey, the decidedly darker and more aggressive tone of Tunnel Blanket was a pretty big curveball for listeners. Tracks like “Black Dunes” are representative of the band’s shift in sound for this album. As with many of their previous releases, the first few minutes of this track float along in an echoing, ethereal, beautiful way until the walls of distortion and pummeling drums come crashing in with the force of an atomic bomb. Most of the rest of that track is filled with angry feedback and boiling riffs that rush over you like waves of fire, as though the gates of hell have opened up. Another track called “Communal Blood” shares a similar musical progression, but at least that song’s genesis is a reminder that although Tunnel Blanket was a difficult album to make, the writing and recording processes were not all gloom and doom. The band’s show at The Urban Lounge is part of a 13-concerts-in-14-days tour from Austin to Los Angeles to Vancouver, with a number of stops in between. And as 2013 draws closer, more new material will be on its way, unless time and space conspire to keep the band members apart. Thursday, June 14 at 9 p.m.